This is one of my favorite recipes for breakfast. So easy to make, healthy and super delicious. 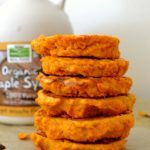 My whole family enjoys these 2 ingredient sweet potato pancakes. Oh delicious sweet potatoes. Packed with vitamin A, vitamin C, potassium and calcium. They are also an excellent source of fiber. What an excellent choice for a creative and healthy breakfast. If you are trying to incorporate healthier ingredients into your daily diet, you must try this recipe. And the best part is super easy to make. I just baked my 2 Ingredient Sweet Potato Pancakes and they came out perfect. Just make sure to flip them half way into baking. I also added a dash of cinnamon for extra flavor. You can serve them with honey, Maple Syrup , greek yogurt, and fresh fruit. Baking is easier because you won’t really make a mess in your kitchen. 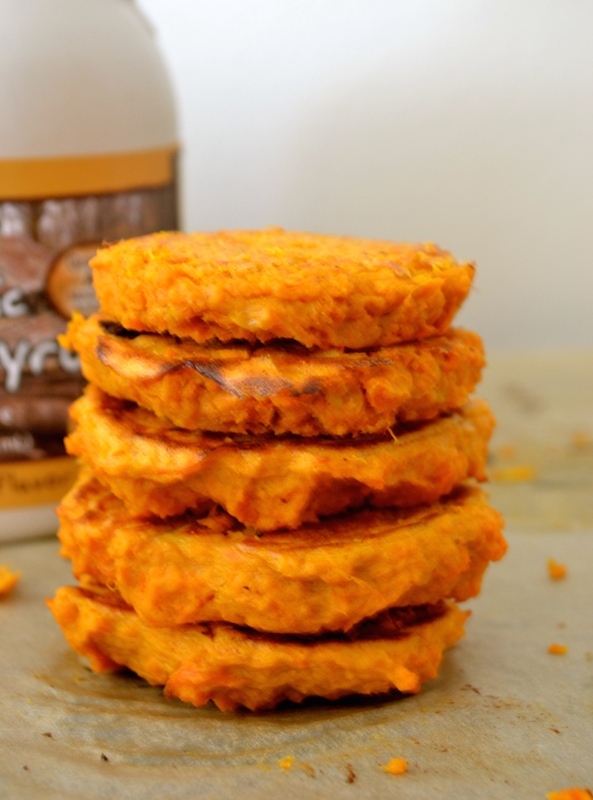 Not only are these sweet potato pancakes great for breakfast but as an afternoon snack. It is just amazing to know that with only 2 ingredients you can make delicious and healthy pancakes. Make sure to get an extra large sweet potato for this recipe. Naturally sweet and soft, these pancakes are also great for toddlers because they can just eat them with their little hands. 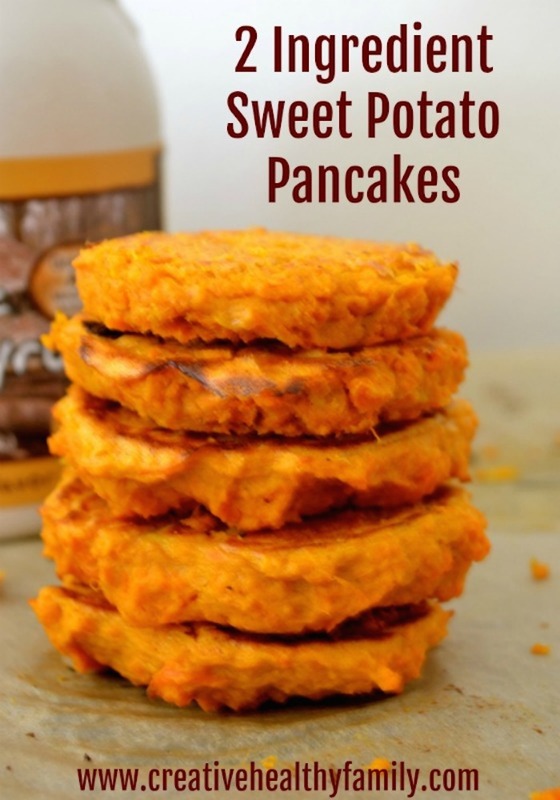 What can be better than pancakes made with delicious and nutritious sweet potatoes! Homemade pancakes are perfect to start your day full of energy and nutrition and without refined sugars. For more natural pancake ideas please see Banana Oatmeal Pancakes. I love simple recipes made with healthy ingredients. For more creative and healthy ideas for breakfast check out also my Healthy Banana Sushi and Teddy Bear Toasts recipes. If you are interested in learning about the importance of eating breakfast, check out my The 5 Worst Breakfast Foods For Kids. Stay away from processed breakfast products and start your day the right way with good food choices for you and your family! Delicious 2 ingredient recipe. Perfect for breakfast or a healthy snack. Great for kids and adults. Gluten free, dairy free. Bake the large sweet potato at 400 degrees for about 45 minutes to 1 hour. You can bake the sweet potato in a cookie sheet on top of parchment paper. Prick a couple of times with a fork before baking. Peel and let it cool down. Mash the sweet potato and add the cinnamon *optional. You should have a puree consistency. Add the eggs and mix well using a whisk or hand blender. Spoon round pancakes on a cookie sheet on top of parchment paper. Bake for about 20-25 minutes at 375 degrees. Make sure you flip them half way. 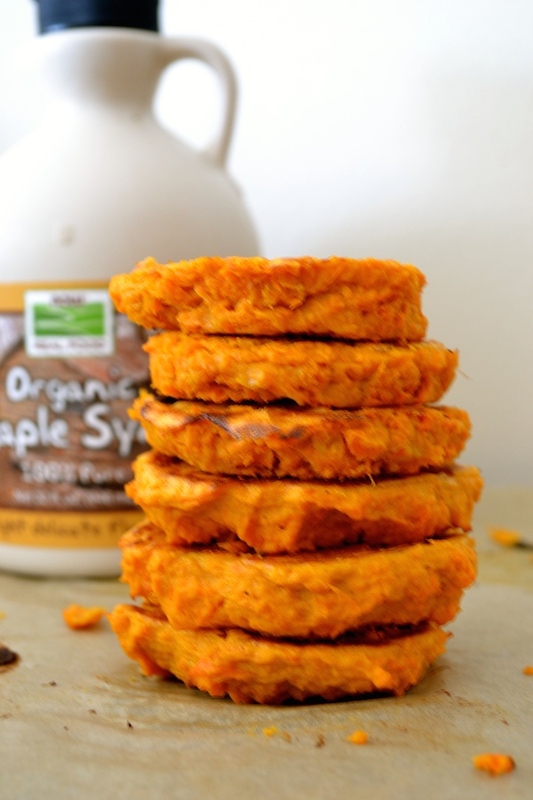 This 2 ingredient sweet potato pancakes recipe contains affiliate links. The products linked are the products I use and recommend. If you purchase a product through an affiliate link, your cost will be the same but Creative Healthy Family will automatically receive a small commission. Your support is greatly appreciated. Hello! Can I use this recipe in the waffle maker? Once frozen, how would you suggest to reheat? Could you use mashed pumpkin in place of the sweet potato too? I don’t see why not….Great idea!